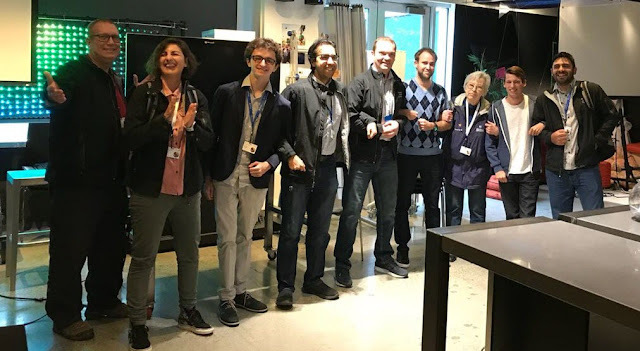 A Windows Insider MVP Visit to Microsoft Headquarters! You read the title correctly. I finally got to visit Microsoft headquarters! 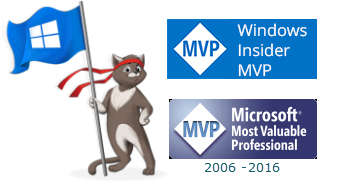 Year after year of being awarded Microsoft MVP and now Windows Insider MVP, fellow MVPs have asked if I was going to the MVP Summit. I almost made it one year but the dates of a project at work changed and I had to cancel. All that changed last month when I received an email inviting me to join the Insiders2Campus contest winners at Microsoft Headquarters. It was like a dream come true, a once-in-a-lifetime opportunity. Of course I accepted! I was a bit anxious about meeting the other people I would be joining because, out of the group, I am the only one not an IT Pro. Rather, I am dedicated to working with/helping consumers. Within minutes of meeting them, I quickly discovered that there was no need for concern. Aside from each of us being Windows Insiders, we meshed. After checking into the hotel, we had an impromptu gathering in the hotel lobby to get acquainted. Here we were, far from home, complete strangers, the majority from different countries with completely varied backgrounds. I discovered quickly that our backgrounds didn't matter. We immediately connected. Just as we witnessed at Microsoft at the various venues we visited and the people we met, we also exemplified diversity, inclusiveness and respect for one another. The Schedule: Our days were packed from start to finish. Although much of what we talked about was covered by NDA (Non-Disclosure Agreement), you can find general information about many of the places we visited in fellow Windows Insider MVP Simon Allison's article at Windows Insiders are welcomed to Microsoft HQ. Following are a few specific highlights from the trip that I can share. The hike down the stairs when the fire alarm sounded and back up was well worth it when we finally sat in on Dona's talk to the Microsoft Shell Team. If you've heard about or read her book, "Spin Your Tale: The Fiction Writer's Guide to Your Personal Brand", you have an idea of what it was about. As Dona said, "Your brand is your professional reputation. It's what you're known for. It's what you're an expert at. It's why people call on you." The book provides steps on how to "Spin Your Tale". It is a workbook going through the steps to ensure your brand reflects who you are. Since consumer security is the area I have concentrated in throughout the years, the other thing I was excited to discover on the "Wall of Fame" was MSRT (Malicious Software Removal Tool) . The knowledge that the developers of MSRT used personal time to create a tool to benefit Windows users makes it all the more special now when an updated version is delivered each month with the security updates. Today the visiting #Insiders2Campus had a open Q&A with our upper management on Feedback, Flighting, the future of #WindowsInsiders, the future of dev'ing on Windows and a lot more. "Microsoft Insiders is definitely something we are doing--and yes, there will be a MVP program"
The Question and Answer session was more than that. There was no doubt throughout the session (and, in fact, each session we attended) that management was truly interested in what we had to say, in our feedback, where we saw issues, where we saw need for improvement. Windows Insider feedback truly is appreciated, wanted, respected and needed. Windows Insiders are familiar with the monthly Windows Insider Mixer webcasts where we have the opportunity to learn more about upcoming features, discuss preview builds and so much more. The mixer this month was a bit different -- we were the ones sitting around the tables instead of Microsoft employees! It is an hour long and the recording is available here: https://mixer.com/WindowsInsider?vod=60068475. Hopefully, you have a small idea about how much this experience meant to me. The trip organizers left no stone unturned. Each and every detail was covered. Our escorts were amazing and each and every presenter at the various sessions provided not only interesting information to us but were also interested in our feedback. Members of the Windows Insider Team and other product groups joined us at various hosted lunches and dinners. Their honest interest in our input was evident. To fellow Insiders to Campus members, it was wonderful getting to know each and every one of you and sharing the wonderful experience with you. How nice when a life's dream comes true! Very, very nice write-up, Corrine @CorrineChorney @SecurityGarden. Looks like you enjoyed the trip! I am so glad that you finally made it to Microsoft Headquarters. Perhaps as a #WindowsInsiders myself, I'll make the trip sometime in the future. I bet all this was very interesting Corrine. Good to hear you had a great time and Congrats to you.